To confirm all bookings a non refundable deposit of £100 is required and the balance is due six weeks before your holiday commences. There is also a £100 damage deposit which will be refunded within 14 days after your holiday. 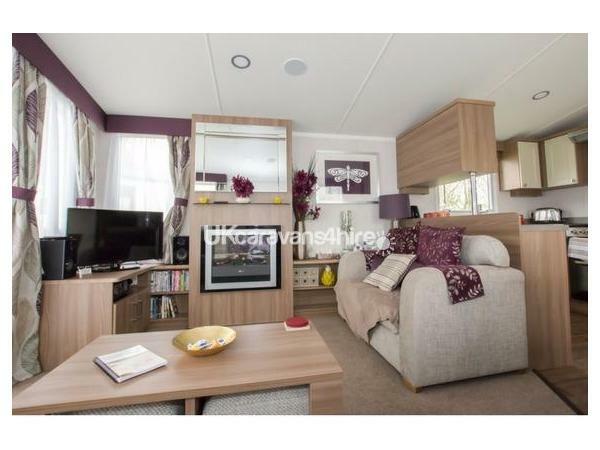 A luxury three bedroom caravan for hire on the 5* Hopton Village. Situated in the Lytham area near the parks golf course with no through access, this peaceful location is perfect for a quiet break or those with families. The pitch is 5 minutes walking distance from the main part of the park where the clubhouse and amenities are. 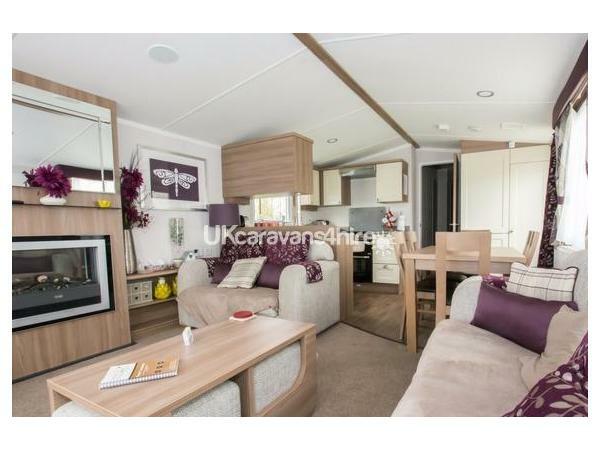 The caravan has a fully equipped kitchen, including microwave, full size fridge freezer and freestanding dining table and chairs. You will also find all utensils and crockery has been provided. The large and spacious lounge has two sofas (one can be converted to a sofa bed), feature fireplace, freeview HD TV with DVD player (including a number of DVDs) and IPod docking station. The lounge also has French doors leading to a veranda which is furnished with rattan table and chairs. The caravan has a gas fire and is double glazed, has central heating and is alarmed. The main bedroom has a double bed, en-suite WC, dresser and a wall mounted TV/DVD. The other two bedrooms are both twin rooms which can be made into doubles and have wall mounted TV's. All bedrooms have wardrobes. There is space in the main bedroom to accommodate a travel cot. The bathroom has a large shower, hand basin and WC. The patio area has a table and chairs, bench seating and a large grass area which is great for kids. The is a parking bay at the front. Linen, towels and tea towels are included and beds made up upon arrival. The numerous top class attractions within easy reach of the park, include Pleasurewood Hills, Africa Live, Bewilderwood, Wroxham Barms, Norfolk Broards, Gorleston Beach and many more. Guests passes can be purchased from reception. Local supermarkets will deliver to the caravan. We all had a great weekend, the caravan is lovely and clean and in a great location. The owner was very helpful. Thank you for letting us use your lovely caravan we all had a great holiday and will definitely be in contact to book with you for next year. Just spent a lovely weekend in this caravan . Very warm and welcoming ,home away from home . Has everything you need . Caravan is located on lovely pitch . Very clean and great customer service from lovely owner Emma. Very helpful and quick to respond. Would definitely return to this van . Owner very accomadating, we booked at really short notice just one day and she managed to sort it for us . Thank you Emma. This was our first time at this caravan and park and we loved it. 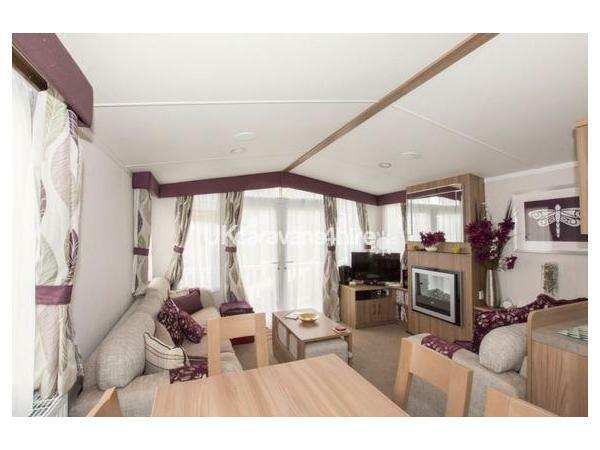 Caravan was immaculate, very homely and situated in a great spot. The owner was great and very helpful at all times. Thank you so much for letting us stay and I would highly recommend anyone to rent this caravan. We hope to be back again. We have just returned from a lovely stay in this caravan that is home from home. It is in a nice quiet area of the park but within easy reach of all the facilities. Communication is excellent and so accommodating, would not hesitate to reccomend or book again. 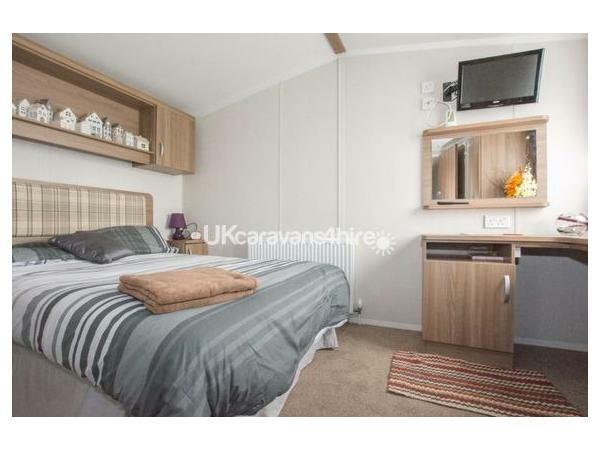 The Caravan was in excellent homely condition and very clean, I look forward to returning. Had a lovely few days away here, very clean, modern caravan, lovely! In nice quiet area of the park but still not too far to walk. Owner very helpful and nice, great communication and informative. Would book again! :) Thank you! 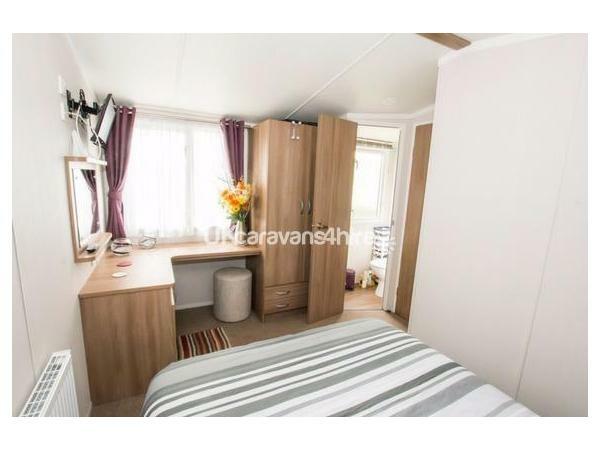 First time to stay at this caravan and it was lovely had a great time .caravan spotless lovely clean in a great spot.nice big caravan plenty of room. Owner Emma very nice and so good Very informative would definitely book again.great spot for children stayed here with daughter and grandchildren age 10 and 5 they loved it. We have had an amazing week it's been my little boys first time there and he has loved every minute of it and didn't even want to come home bless him. The caravan it's self is amazing everything was there and more and everything was ready to just get in and settle down. Thank you so much for letting us stay at your caravan I would highly recommend. 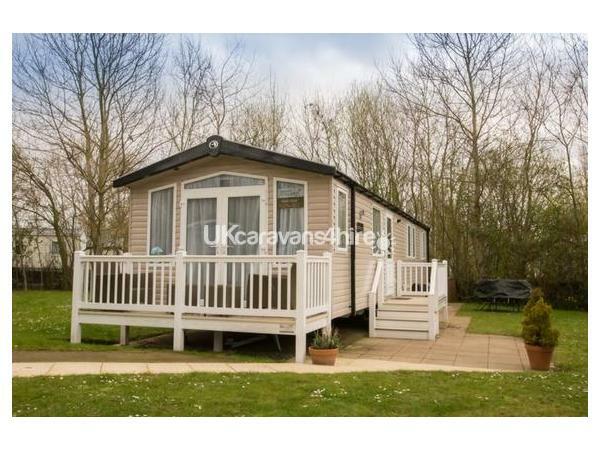 Our stay in this caravan was great, very nicely situated, plenty of space outside, lovely, clean and homely inside. The owner was very helpful and was available for any questions in the run up to our holiday and since. 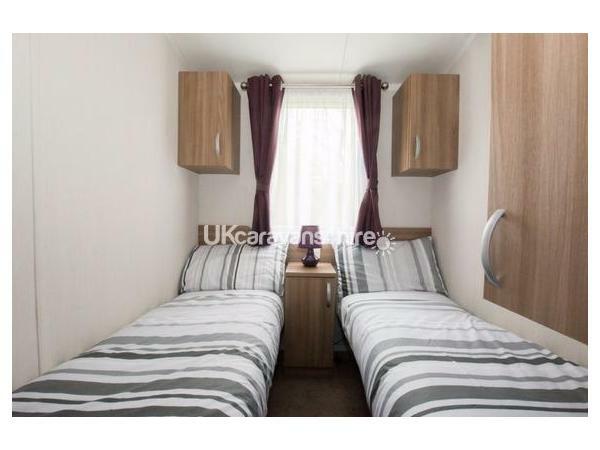 Strongly recommend renting this caravan, if we decide to go back to hopton in the future, we would definitely book this caravan.